Making top-quality, delicious rice is a breeze with the Avantco GRCNAT 110 cup (55 cup raw) gas rice cooker! 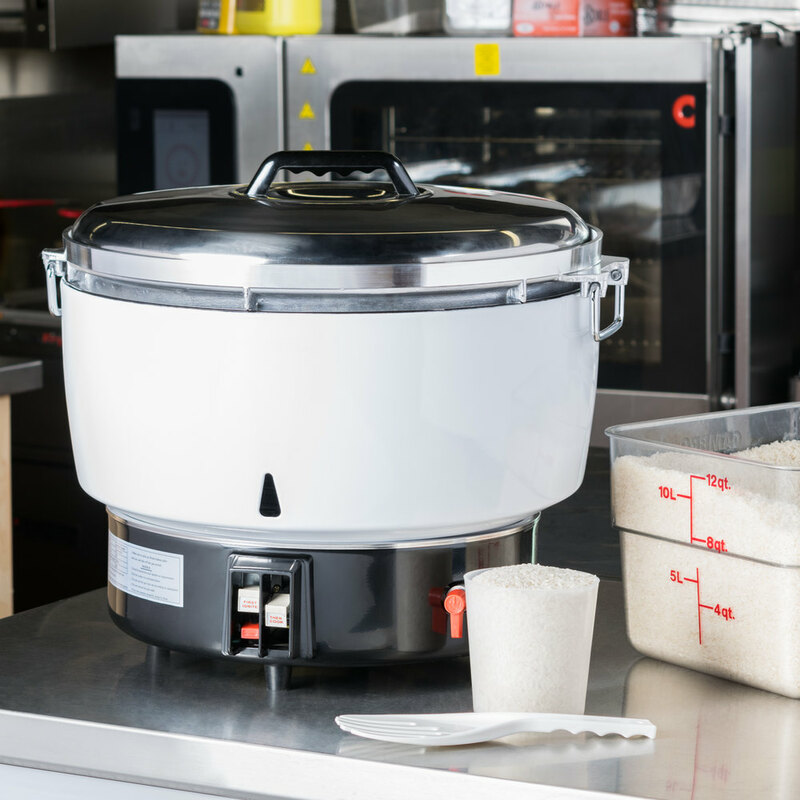 Boasting 14,000 BTU of power, this reliable unit can cook up to 55 cups of raw, uncooked rice in just 30 minutes, making it ideal for any busy commercial kitchen. In addition to rice, this unit is capable of cooking grits, oatmeal, macaroni and cheese, and other foods. For added convenience, this unit automatically detects when to switch from cooking to "keep warm" mode. Not only does this ensure perfectly cooked rice every time without the guesswork, but it also keeps your rice warm and ready to serve! 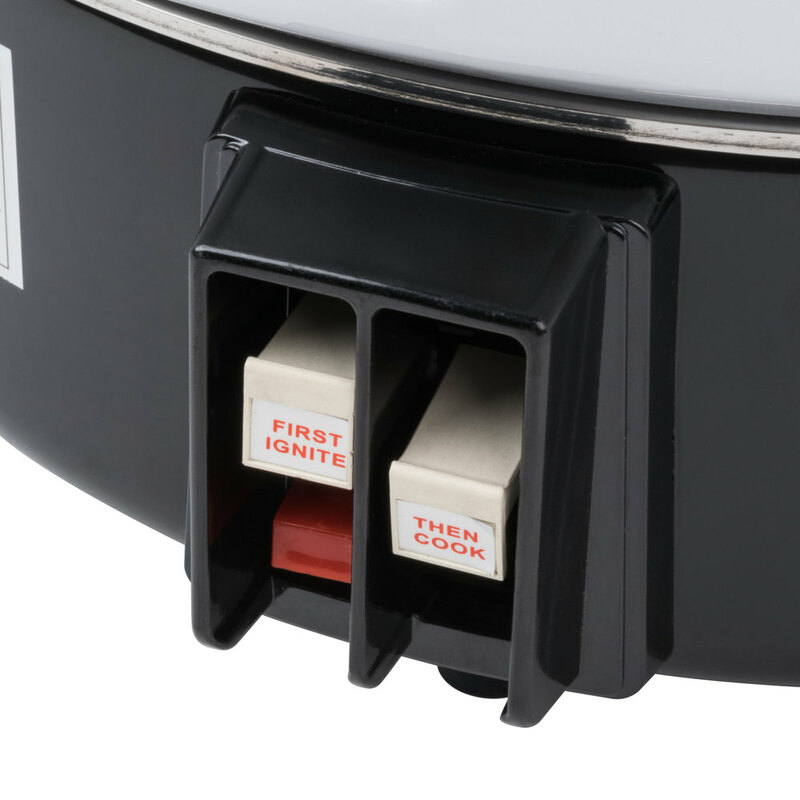 For your protection, the unit will also automatically shut off if the flame goes out. Featuring a white exterior housing, this unit offers long-lasting durability and a sleek, professional appearance. 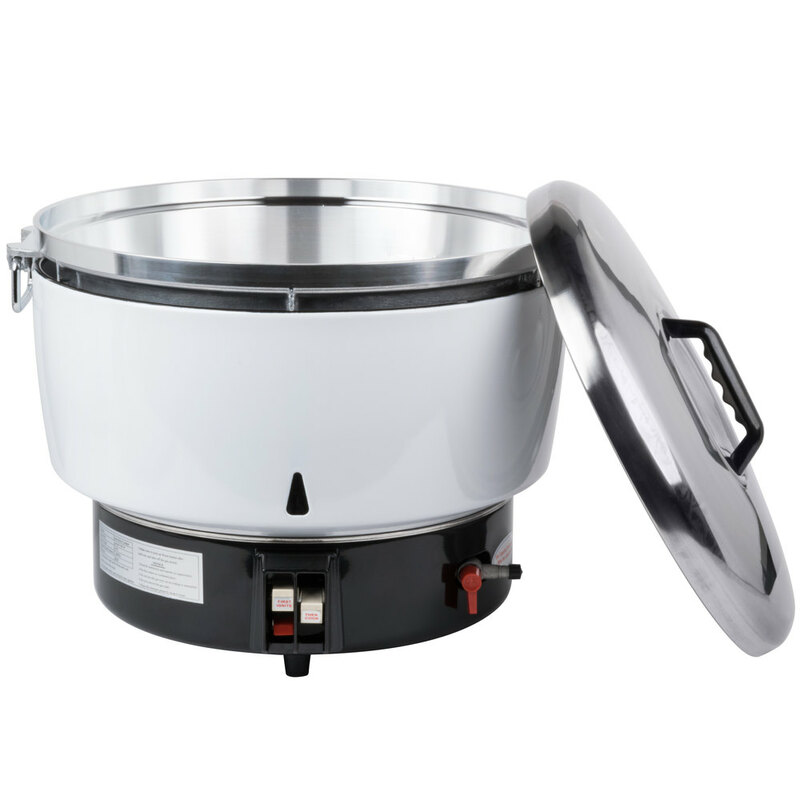 A removable, non-stick aluminum interior pot ensures your rice is evenly cooked and, at the same time, makes it easy to clean at the end of the day. 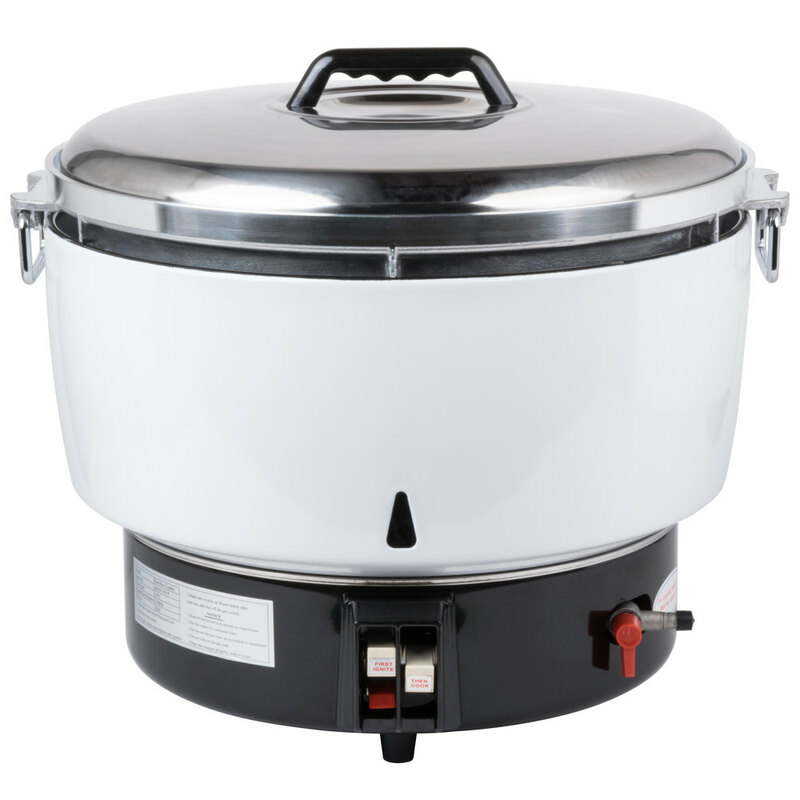 Thanks to its two steel drop handles, this rice cooker is easy to transport to wherever is most convenient for your business. 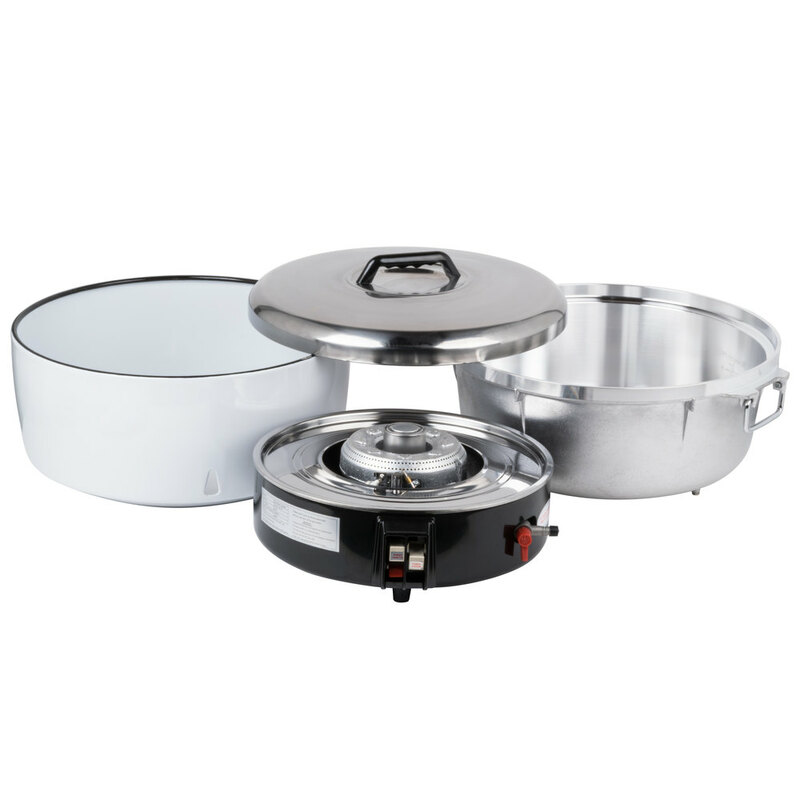 A removable stainless steel lid helps to contain the heat for maximum efficiency, ensuring your rice maintains an ideal serving temperature. This unit comes with a measuring cup to provide quick, accurate portioning of dry rice into the pot, while the included rice paddle allows you to efficiently mix, scoop, and serve your rice while preserving its consistency. A natural gas connection is required for operation.